I have given up the Search for this Star in Chrome ,1st time ever i abandoned a search for a W140 part . 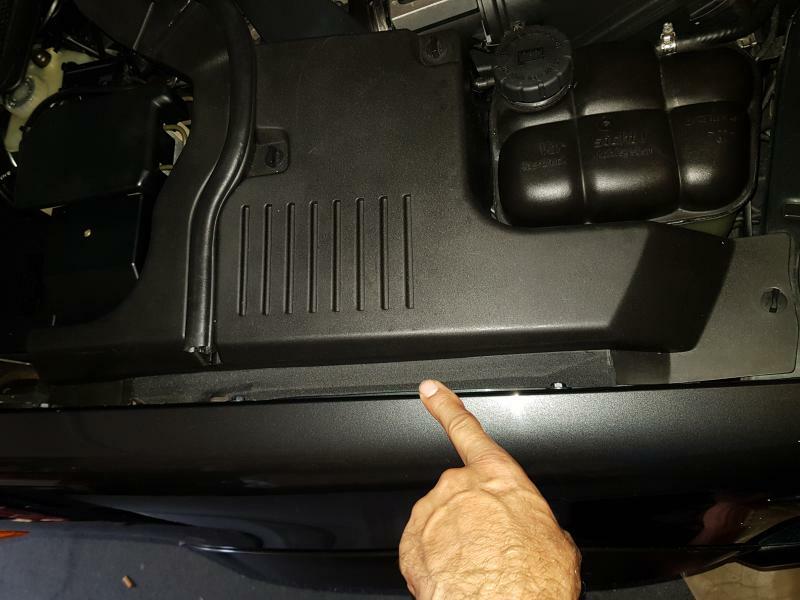 All M120's have this Star on the Suppressor Cover that covers the Power Steering fluid reservoir in Black Plastic. I rang MB everywhere & they don't even have a part # for the 65mm Star . 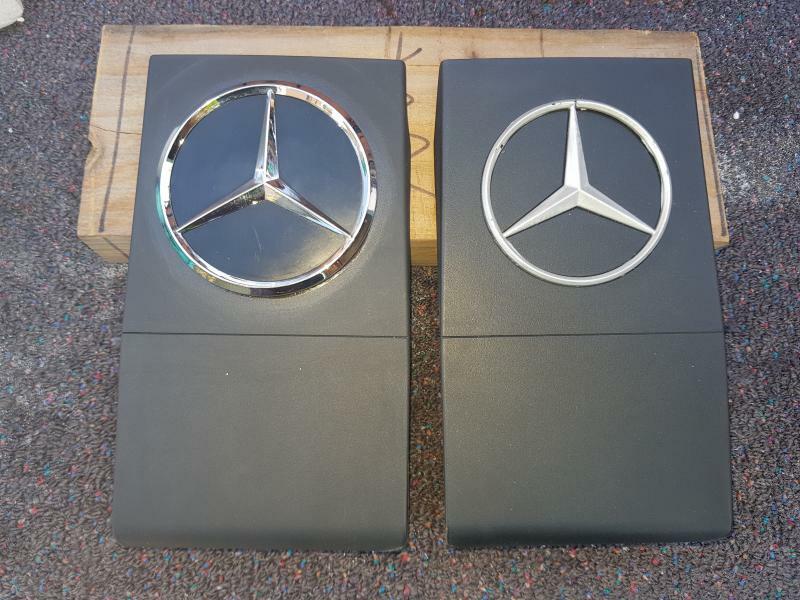 E'bay & Goggle show some but they are not the Chromed Star,looks silver painted . 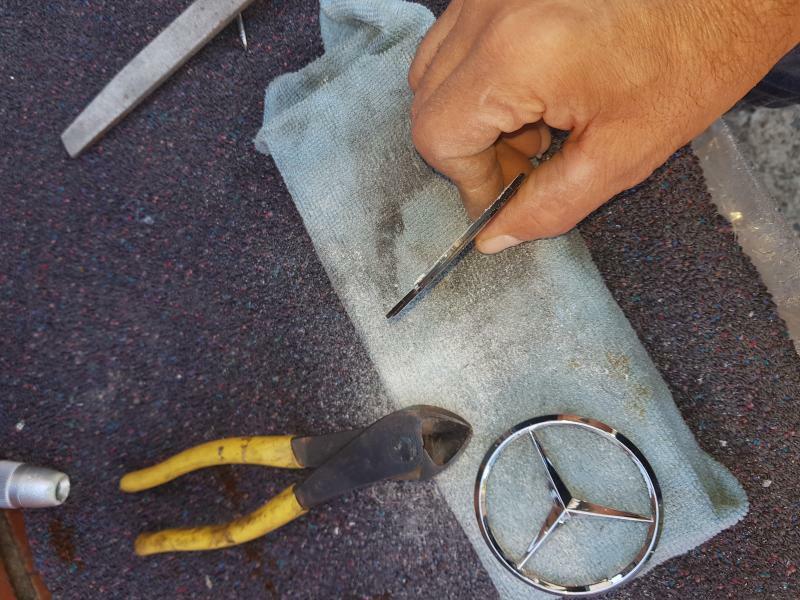 At local MB wreckers which are all my friends (partially) ,we searched a lot of engines that i told them could have this Star on it , these where M104/M103 ,SLK/CL's some R129's , the M104's have it but it is Stamped only so it cant be used or removed,maybe the early M104's . Here is what i did , looks better then the original as well , everyone i asked which one would you take ,they all choose my new invention (lol) . 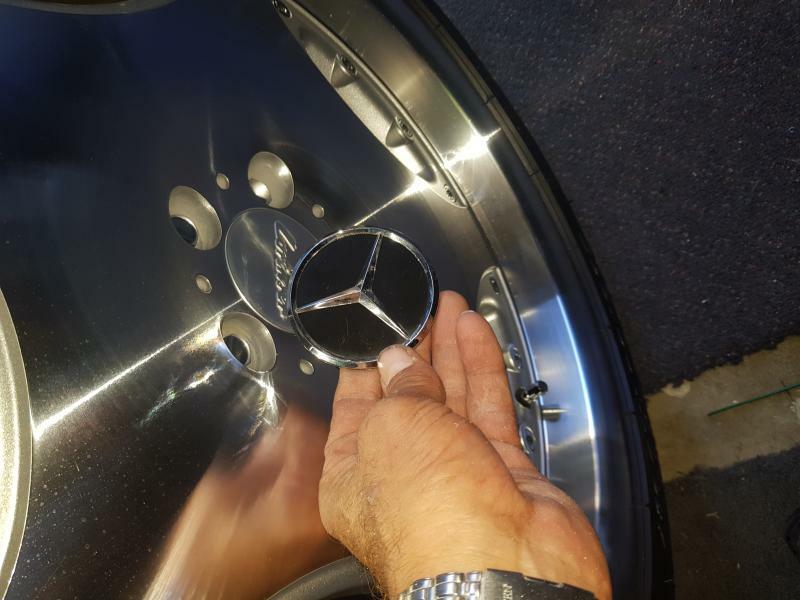 1: Find a Black MB 75mm hubcap ,easy found at wreckers for free ( i did) ,if not free then make sure you have lots of big pockets . 2: Cut of on the underside the clips , this way the Chromed Star will just fall out with enough Clip on it for later welding .Remove the STAR . 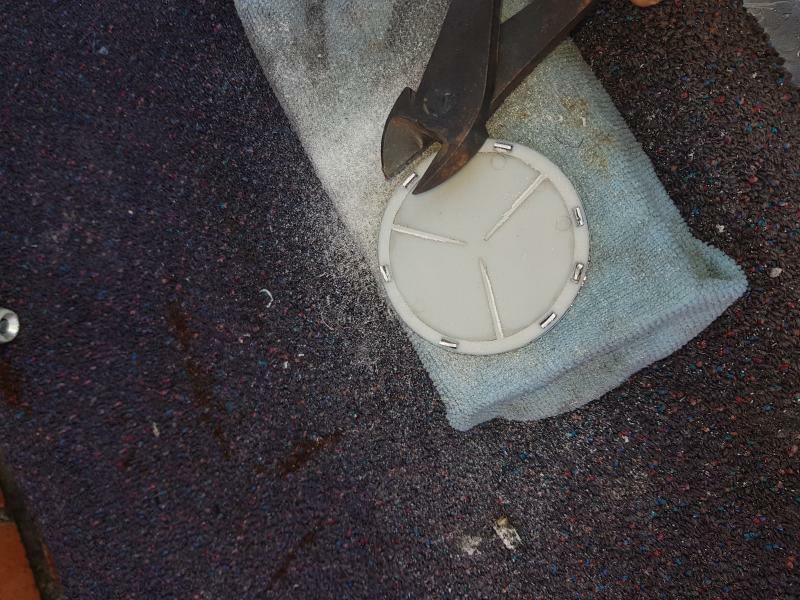 3: Remove the metal circle holder that reinforces the hubcap & cut the holders where it was in . 4: Get a wide File & file that Hub to Zero up to the last clip ,when all is nice & flush with the Bottom ,stop filing ,make sure it's nice & straight . 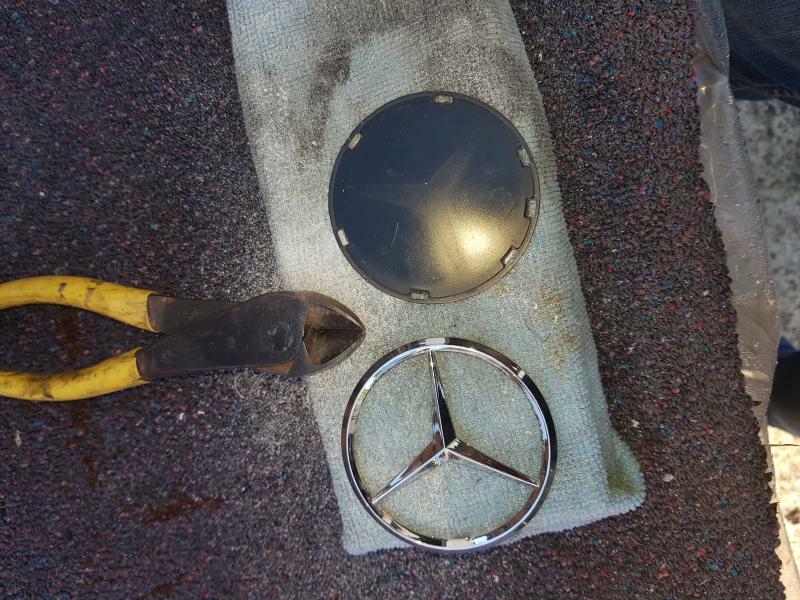 5: Now Clean the Star ,Polish it if you like to also clean the black Hubcap part that will be facing or even spray paint it (Use High Heat Paint) . On the back side of the Chromed Star you still have a few MM of the Clips ,don't cut them of . 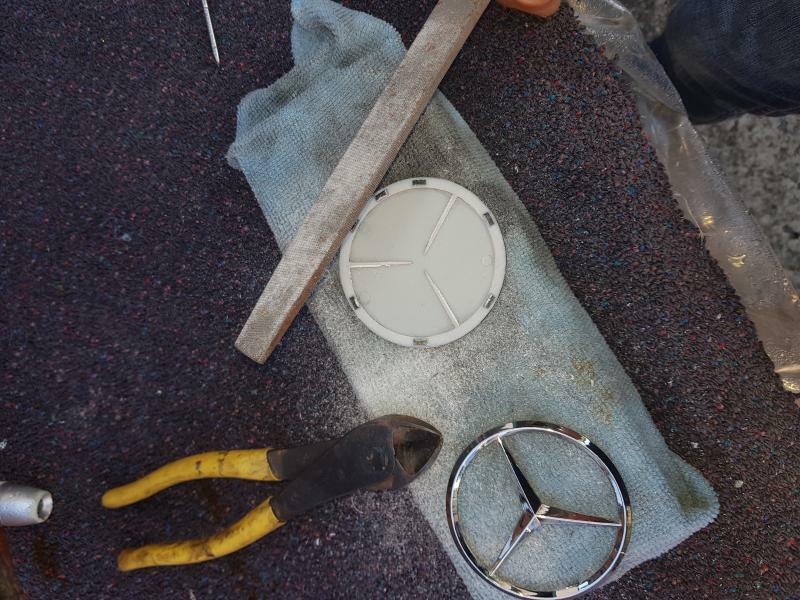 6: Once you're happy with the new CHROMED Star appearance & the Black Round Background , re-insert the Star into it's position by adding just a touch of glue onto the clips ,let it dry a few minutes ,then of to Welding . 7: Now you need a Soldiering Iron , Melt the clips on the backside flush ,this will prevent the Star from falling out . 8: Black Epoxy Glue all around the Base of the Star & even inside it ,i used high heat epoxy glue and Glue that whole MB Chromed Star to the Suppressor Cover . 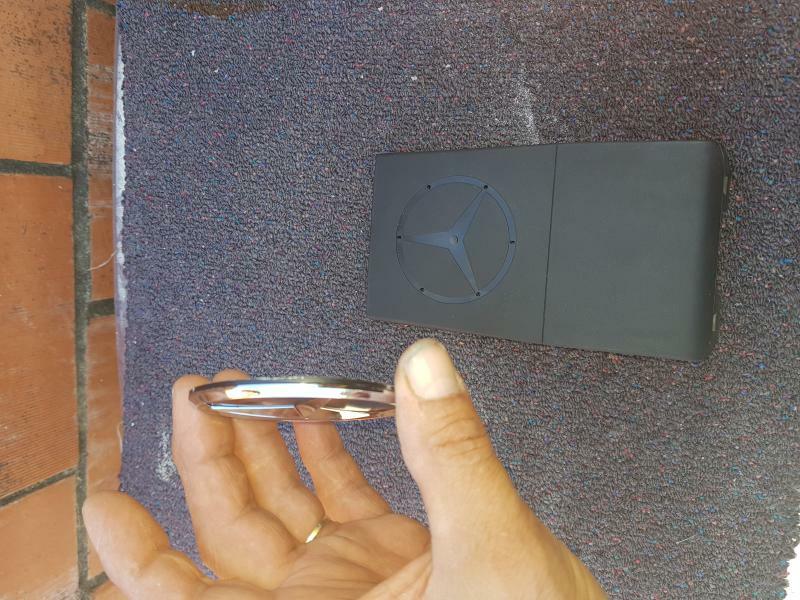 Voila ,a New look to your Engine & the SEARCH for this dam 65mm Star is over for EVER ,Black plastic or chrome ,simply not available anywhere, the black one can be purchased for $30/50 for the whole cover but not the Chromed one . 8 or more Steps sounds a lot but it isn't really ,actually more fun then anything. 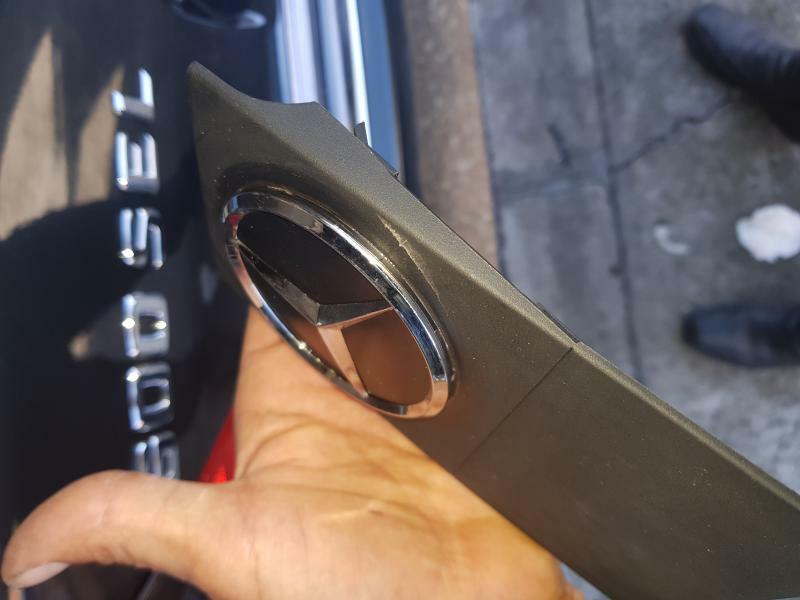 On other parts of Benzworld what other owners did is ,they used a fine mesh behind the Star but only because they have a large hole there . MAVA and 400 SE or S420 ? like this. Driving a W140 & everything else feels like is standing still . Last edited by Merc-S600; 03-22-2019 at 09:22 PM. Take Note that the Right side pictured Star has been Painted silver by me previously ,i didn't like it . 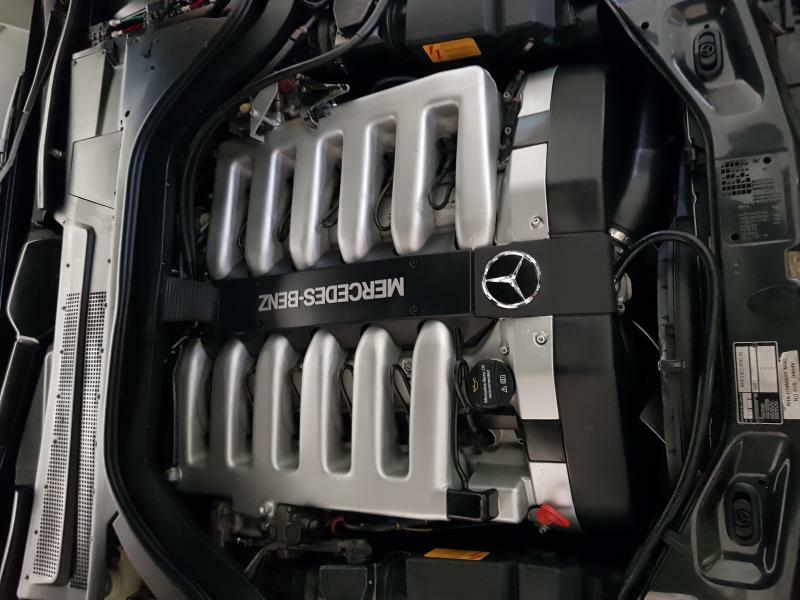 Next is the V12 Chromed Emblem which is coming from Bulgaria & that Engine is done . Added two extra pictures ,last two down the bottom, how the engine looked when i 1st received the car & one just before i decided to paint it and Yes ,i also painted the Writing MERCEDES-BENZ on the injection cover ,to paint that use a small corner roller & use a toilet paper tube with some fine cloth around it then spray the paint directly onto the roller & slowly paint it , doing it like this prevents paint dropping into the letters & looks MB did it by factory. 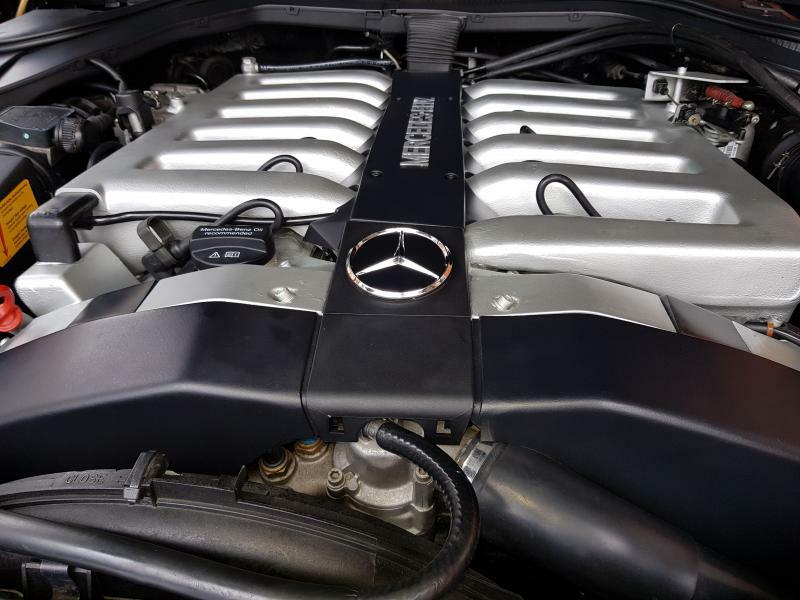 The Engine runs & sounds 100% ,no faults or oil leaks . While i was on the phone with MB parts ,i asked them for Engine Mounts for the M120, Price was $1300 plus gst . LOVE TO KNOW WHY MANY PICTURES UPLOAD SIDEWAYS. z168, MAVA, quakercity and 1 others like this. 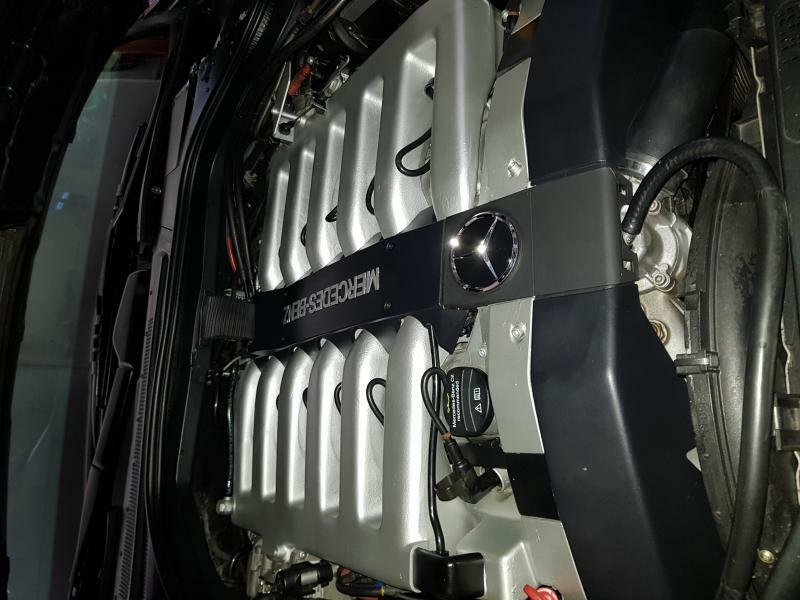 Last edited by Merc-S600; 03-22-2019 at 10:06 PM. Nice thread. I saved it to my favorites..
Merc-S600 and quakercity like this. Thanks Martin . I still need to post this on the other forum sections ,they probably need this as well , you can do it if you feel like it ,i have to go now . 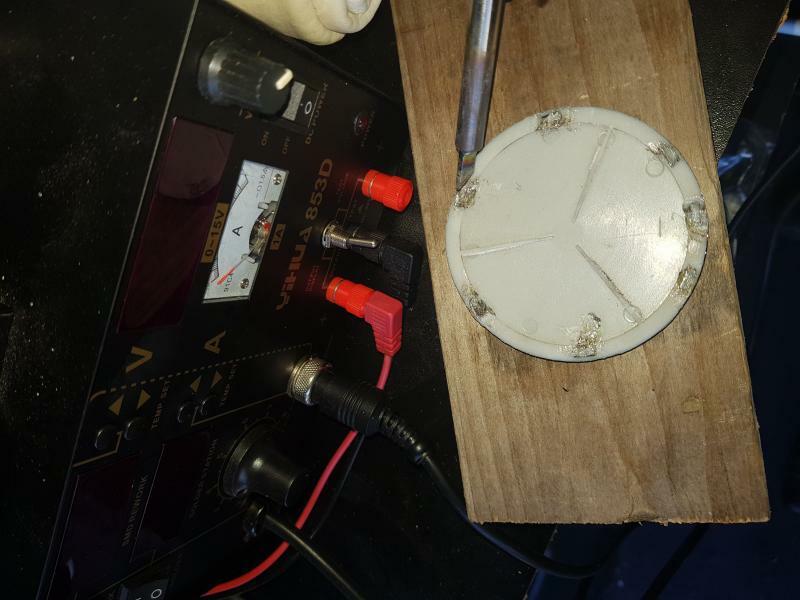 Some M120 owners are ripping there hair out because they cant find a 65mm Star ,i have to many hair & would take to long to rip out ,this is just a shortcut ,lol. Last edited by Merc-S600; 03-23-2019 at 04:03 AM. Ripping their hair out? Really? Yea, they are ripping their hair. I run into 600 owners with the WHOLE piece missing. It is just the "icing on the cake" kinda thing.. Sorry if the Term i used annoys you a little . After an extensive 1 week or more search for this Star , i have come across many websites were owners just don't care anymore about this Star problem for how to resolve it . Well ,above is the Solution how to keep there hair . If you like i can either remove the whole Thread or Term to make you happy . If you take note on the 2nd picture ,i already filed back the whole cap to zero as i didn't intend to create a new Thread anywhere but then i said to my self ,Let's Help/Hint out other MB owners with this maybe they find some info useful. Good thread!! Some people I guess do not have enough hair to lose! It is a common expression "pulling out your hair", due to frustration. I had a boss who pulled at his mustache hair, so it was always thin or missing in places. I like your idea for the added touch. I will pop the hood and look at mine in the AM when I take the cover off. 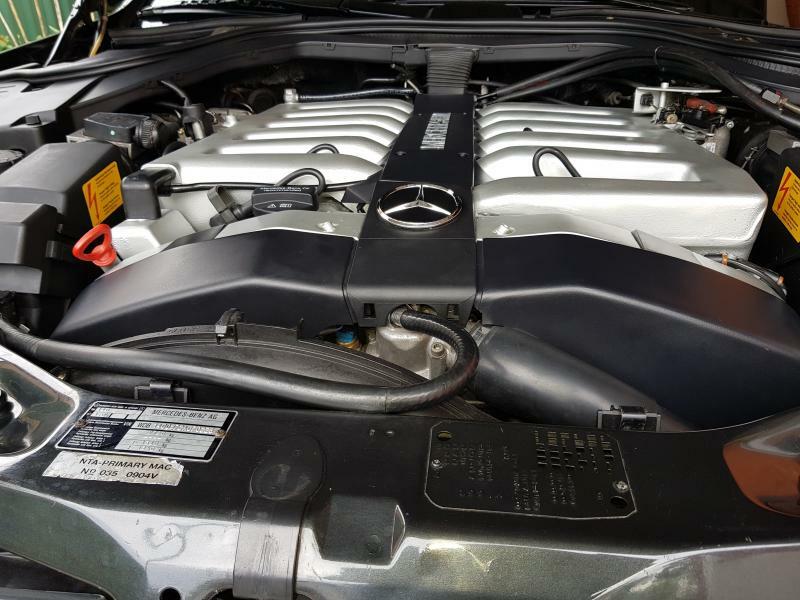 1999 S500 Grand Edition-Sold to good home! Only the Enthusiastic M120 Owners will find this Thread interesting enough . 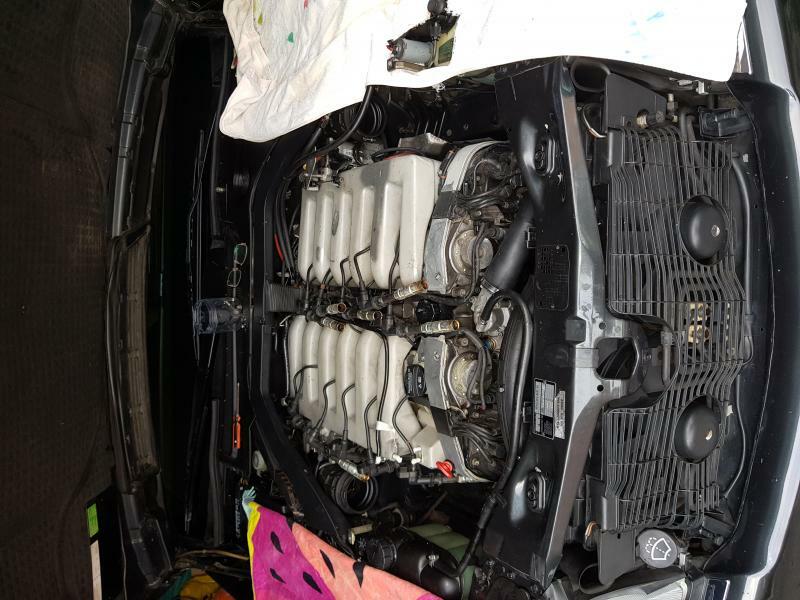 For the not so caring M120 owner or W140 owners that dont have a M120 powered W140, the black plastic Star is more then enough or even without the whole cover over the Power Steering reservoir ,there are many . As for my own ,it has to be perfect with that extra touch . Take for example the edge of the left & right engine covers over the Fenders , in between the Edge of the inner lower fender & the black plastic covering edge (looking at the engine sides) ,there is a small gap that shows something is missing like a weather strip or something ,yet there is nothing missing ,it's just ugly to look at ,i believe all W140's have this ugly space there. I even covered that with something that looks better then factory to the eye & doesn't obstruct rain water flow or while washing the car . I take a picture next time i have the hood up. Here is that Space picture. 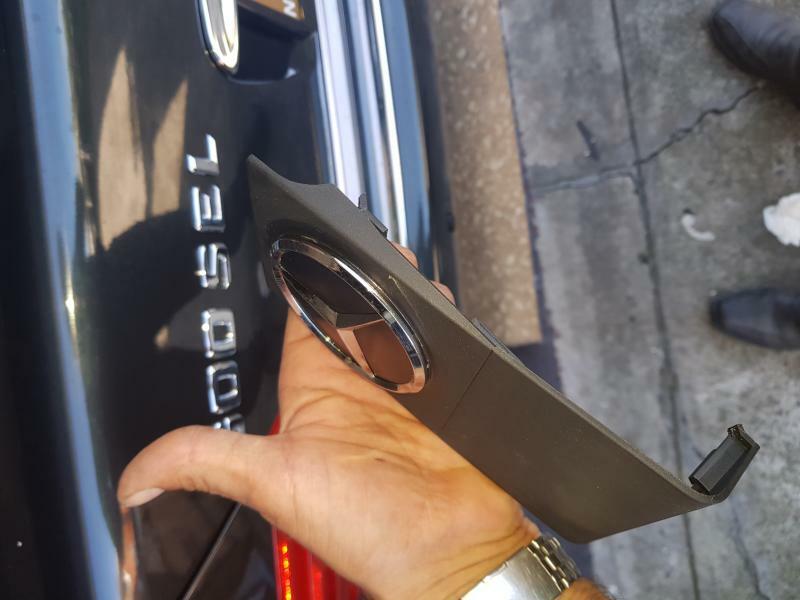 My 94 coupe came with the chrome star, but the cover it was attached to was broken. 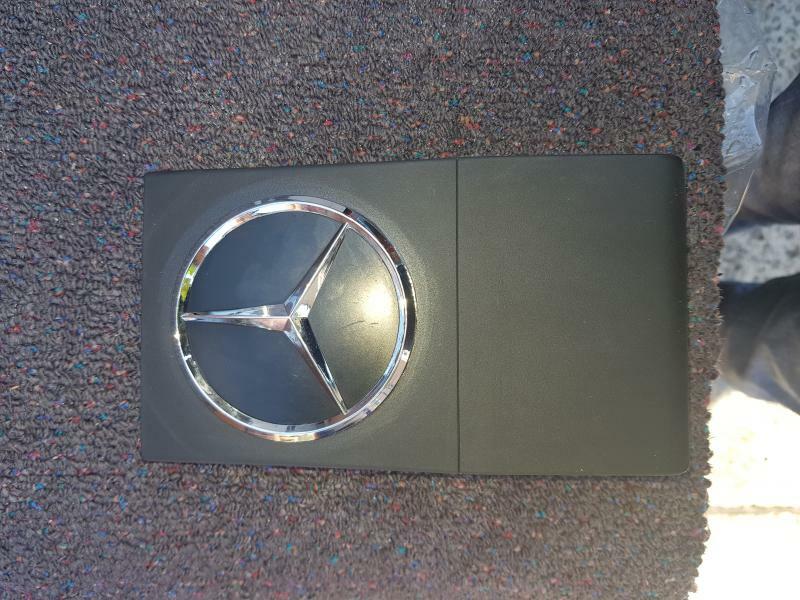 I got a new cover with the black star, and transferred the chrome star to it. 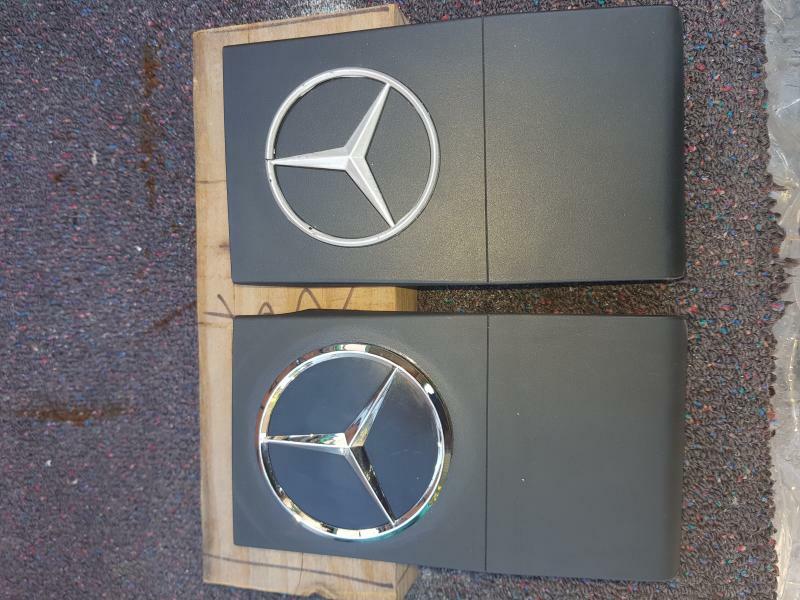 Did any 600 come with the Mercedes Benz lettering in silver? Or was it added by owners.